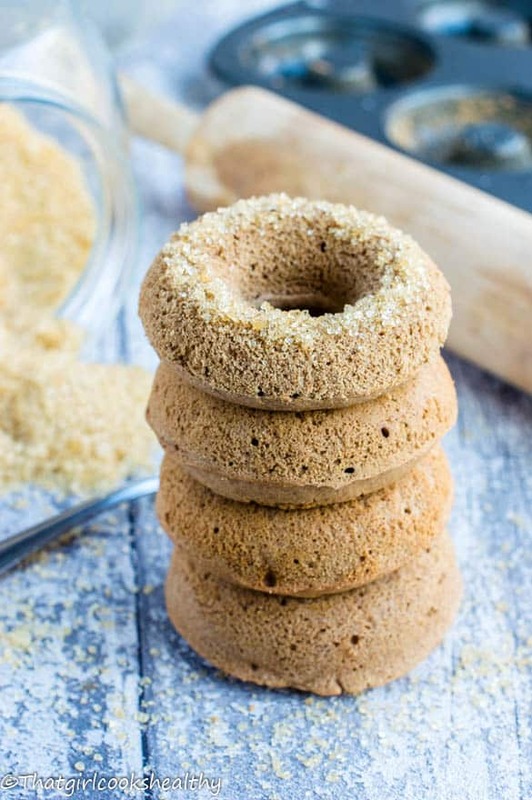 Gluten free donut recipe made with buckwheat flour with a hint of cinnamon it as so much healthier than their fried counterpart and delicious too. 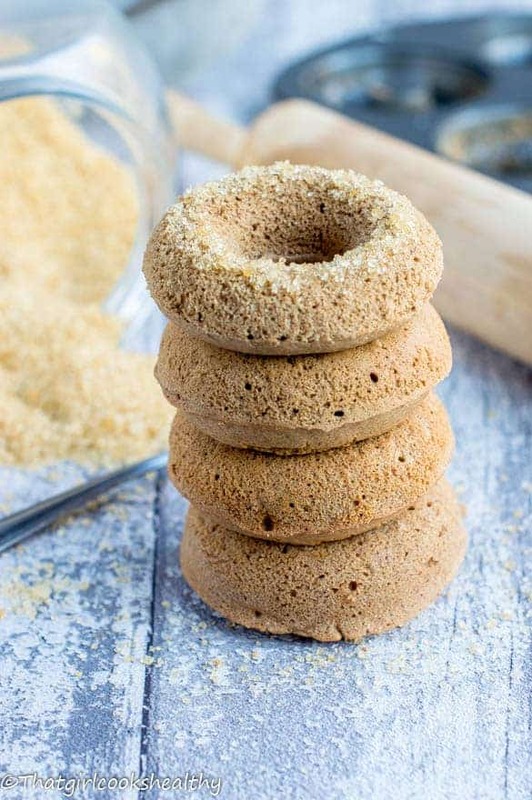 If you are a fan of donuts then you will love my healthy rendition of this gluten free donut recipe – get that sweet sugar fix in a most more healthier context. 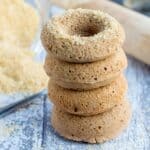 After spending the entire morning wondering what I should bake today, it wasn’t until the late afternoon I decided to churn out this gluten free donuts recipe because I hadn’t eaten donuts in what feels like centuries. I still can’t believe it myself, donuts are a favourite past time treat of mine. There was a short period of time in my life where I would habitually nibble on donuts, it was quite embarrassing when I think about it. They were my guilty pleasure, an unfavourable craving of mine, one that I wasn’t prepared to give up. The donuts are very easy and not to mention a lot more healthier then their fried counterpart. You will need a donut tray to put the batter into. Combine the flour, spices, vanilla, baking soda, baking powder, palm sugar and pink salt in a large bowl and stir thoroughly. In a separate bowl add the milk, egg and coconut oil together and whisk briskly for a few seconds. Fill the donut tray until half full and place in the oven for 15 minutes depending on cooker (mine were perfect around 10-11 minutes. Insert a toothpick to determine readiness, if it’s cooked, it should come out without the batter on the pick. If not return to the oven to cook a little longer. Once cooked remove pan from oven, and set aside for 5 minutes to cool, and then move to wire rack. Once in oven, check towards the end of cooking time, so air doesn’t cause donuts to collapse. Lovely images, Charla, I bet those donuts were tasty. Can you tell me how much of the pink salt you used? Sorry I used 1/8 tsp of himalayan pink salt. I will amend the recipe so it reflects this.